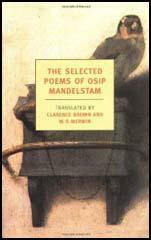 Osip Mandelstam, the son of wealthy Jewish parents, was born in Warsaw, on 3rd January, 1891. His father, a successful leather merchant, was able to receive a dispensation that enabled them to move to Saint Petersburg. His first poems were printed in 1907 in the school's almanac.He studied at the University of St. Petersburg, the Sorbonne in France, and the University of Heidelberg in Germany. Mandelstam's poems also appeared in the journal Apollon in 1910. The following year he joined with Nikolai Gumilev and Sergey Gorodetsky to form the Guild of Poets. Formed as a reaction to the Symbolist movement, the Acmeists, as they became known, called for a return to the use of clear, precise and concrete imagery. His first volume of poetry, Stone, appeared in 1913. Mandelstam met Nadezhda Khazina in Kiev. in 1919. They married three years later. They moved to Petrograd in 1922 but later settled in Moscow. His books during this period included Tristia (1922), The Noise of Time (1925) and a collection of essays, The Egyptian Stamp (1928). Mandelstam also worked as a journalist. He also translated classic books into Russian. Osip Mandelstam was hostile to the Communist government and his poetry never conformed to the official doctrine of Socialist Realism. His work became increasingly hostile to the government of Joseph Stalin. During a holiday in Crimea he witnessed the result of Stalin's collectivisation programme. Mandelstam wrote to his wife in October, 1938: "My health is very bad, I'm extremely exhausted and thin, almost unrecognizable, but I don't know whether there's any sense in sending clothes, food and money. You can try, all the same, I'm very cold without proper clothes." The Soviet government reported that Osip Mandelstam died at Vtoraya Rechka, on 27th December, 1938. 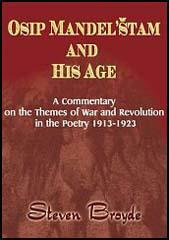 (1) Osip Mandelstam's poem on Joseph Stalin (the Kremlin mountaineer) was written in November, 1933. Ossette was a reference to the rumour that Stalin was from a people of Iranian stock that lived in an area north of Georgia. (2) When Osip Mandelstam was being investigated by the Secret Police he went to see the short-story writer, Isaac Babel, a leading figure in the Union of Soviet Writers. The meeting was later recorded by Mandelstam's wife, Nadezhda Khazina. (3) Osip Mandelstam managed to send this letter to his wife while waiting at a transit labour camp in October, 1937. It was the last letter that she received from him. My darling Nadia - are you alive, my dear? I was given five years for counter-revolutionary activity by the Special Tribunal. The transport left Butyrki on September 9, and we got here October 12. My health is very bad, I'm extremely exhausted and thin, almost unrecognizable, but I don't know whether there's any sense in sending clothes, food and money. You can try, all the same, I'm very cold without proper clothes. I am in Vladivostok. This is a transit point. I've not been picked for Kolyma and may have to spend the winter here.